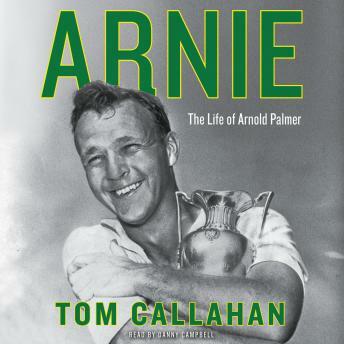 At last, a major biography of one of golf’s greatest legends. Arnold Palmer changed golf--and sports--forever. The winner of more than 90 tournaments, including four Masters, the numbers on his resume don’t do justice to the greatness of his achievements. Because Palmer wasn’t just a golfer in the golden age of the sport, knocking heads with other greats like Jack Nicklaus and Gary Player--he also was one of the first sportsmen to understand the marketing possibilities of his, and all, sports. Forging an alliance with sports agent Mark McCormick, Palmer parlayed his brilliance on the course into deals and paydays previously unheard of, and paved the way for the multi-million dollar deals that are standard across all sports. But no one ever ended up hating Palmer for being a businessman as much as a golfer--instead, he was beloved for his powerful hitting, his nerve on the greens, and his great relationships with fans, whose nickname for him (”the King”) was heartfelt. When Palmer died, in 2016, it was front-page news across the country. Tom Callahan knew Palmer well for many years, and has assembled, here, a trove of anecdotes and great stories from all the key people in Palmer’s life. Put together, the stories tell an extraordinary sports and human story, the definitive oral biography of one of the greatest golfers ever to play the game.